Jeanne Allen, an instructor with the Duke University Nonprofit Management Certificate Program. The Outer Banks Community Foundation is continuing its nonprofit training series with a seminar on strategic planning. The seminar will take place Wednesday, April 24, and any nonprofit serving the Outer Banks is invited to join by registering at www.obcf.org. Popular trainer Jeanne Allen will lead the workshop, which she refers to as a “thorough yet quick dive” into how a nonprofit can develop and execute a plan for achieving its mission. In the hands-on seminar, Allen will break down the strategic planning process into three bites: preparing for your planning process, building your plan, and living your plan. By the end of the workshop, participants will be able to organize their own strategic planning process, define and determine the roles and responsibilities needed, and design a monitoring and implementation process. There will be time throughout the seminar for individual nonprofits to sketch out their pathway on how to integrate planning into their organizational culture. Nonprofits are invited to bring two or more people to allow for real-time conversation and planning throughout the day. 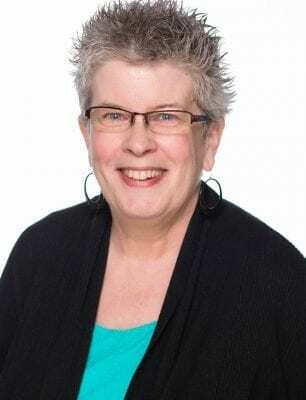 Jeanne Allen is an instructor with the Duke University Nonprofit Management Certificate Program, where she teaches Board Development and Governance, Strategic Planning, Social Media Strategy and Policy, and Volunteer Engagement. Allen is a Board Source Certified Governance Trainer and a Certified Instructor in the Service Enterprise Program, sponsored by Points of Light Foundation. As a volunteer, she is a local organizer for NC Tech4Good, specializing in technology topics for nonprofits. The Outer Banks Community Foundation is a public charity that connects people who care, with causes that matter. The Community Foundation manages $17 million in 185 charitable funds for individuals and agencies, awards charitable grants to local nonprofits, administers 50 scholarship programs, and provides tailored services to help donors pursue their charitable interests. Since its inception in 1982, the Community Foundation has awarded almost $9 million in grants and scholarships to local nonprofits and students.